This stainless steel chestnut roaster is perfect for Autumn and Christmas entertaining. Suitable for use on open fires, gas and electric hobs. 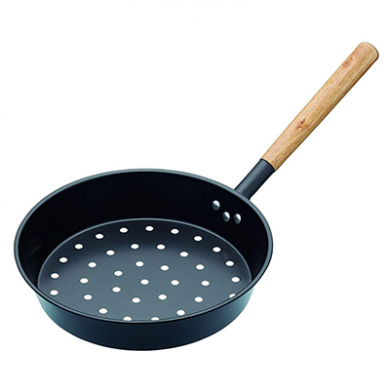 Material: Stainless steel with wooden handle. Dimensions: 53cm x 27cm x 7cm. For use on electric, gas or an open fire.